What Goes Into Making A Mobile-Friendly Shopping Website? As smart phones get better with time, your business must be equipped to cater to the mobile audience. There was a time when people actually debated whether eCommerce was real or not? The reality was, the merchants who went online first have a better hold on the market. This is happening all over again! However, this time it is happening with a small device that fits in everyone’s pocket. Mobile eCommerce is spreading like fire. iPhone, Android and other smart phone users are giving special consideration to the shopping businesses because of the increased demand of mobile websites. In other words, the foundation of mobile commerce is already built. So what are you supposed to do for preparing? 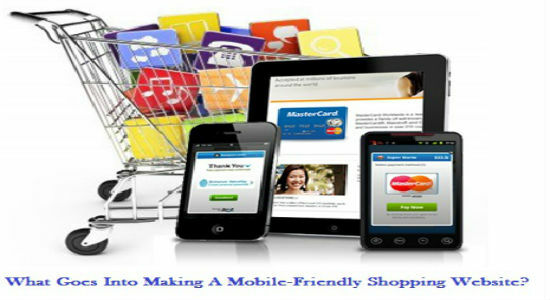 The most important initial step is to setup a mobile-friendly shopping website. Your aim should be to make the mobile version of your website as attractive and as simple to use like your original website. While doing this, it is important to consider the constraints of the mobile devices. The request for creating a second website should not be a shock to your web hosting company, you must sign up with a web hosting company that allows the creation of mobile website as well. There are at least three ways of creating a mobile website. You can utilize a conversion service that enables you to create the mobile version of your existing website. You can also use some mobile website-building tools that will provide you with templates for automating the process. One more option is to collaborate with a website designer who has an experience in creating a mobile websites. Whichever approach you adopt, the design criteria remains the same: To create a mobile website that allures the mobile users to keep coming back. The biggest distinction between smart phones and the conventional PCs is the screen size. The iPhone 4s has a diagonal screen size of 3.5 inches. The newly launched Motorola Droid X is known for its large screen size; however, it has a 4.3 inch display. Every square inch matters! Therefore, it is crucial to have an easy layout that is simple to navigate. This is especially an important attribute on the mobile home page. The mobile website must contain a set of clearly defined links to the rest of the website. The home pages of some of the best mobile websites have a table of contents along with images and the company’s logo is kept to the minimum. Make use of comparatively large fonts. This might seem counter-intuitive with a scarce screen size. However, there is a possibility that your customers might be browsing your website while travelling or in a crowded place. They might be holding the mobile device in hand instead of placing it somewhere. Even if the hand is steady, a smart phone will not do well with a 6-point type. It is important to have simple website navigation. 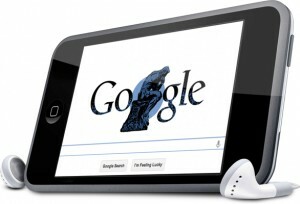 Visitors coming to the mobile website have higher possibilities of getting disoriented. Avoid presenting too many levels of sub-pages, and for every page, provide your customers with an easy navigation for getting back to the home page. In case of small merchants who are not yet selling the merchandise on the auction websites, it is a good option to get onboard as the shoppers prefer using tools like eBay mobile in large volumes. In fact eBay estimates to see $1.5 billion in gross merchandise value through its system. There are many good avenues available for merchants on the mobile web. By offering auctions that can be accessed by customers through their mobile devices, merchants can experience a major sales lift. Take the necessary steps to improvise on your mobile checkout experience. As the mobile web transactions are often done in public, people do not feel confident in terms of entering the credit card or personal information. Integrating a professional checkout service where data is stored online makes a huge difference. It is important to have a consideration of your customer’s bandwidth usage by reducing on animation and video streaming. Yes, you can surely watch a movie over your smart phone, but it is important to support your website with sufficient resources so that it does not get freezed. You can also utilize the power of mobile web by linking to the other mobile resources. For example, if you would like to give directions to get to your physical store, it is a good idea to link to the mobile version of a mapping service like MapQuest or GoogleMaps. You can also use the location-based networking websites like Foursquare. If people check in to your store and if they update their friends about where they are, then you can reward them with discounts or any other offerings. These are some guidelines for you to start, but before I conclude, let’s have a look at a couple of exceptions to these rules. The first exception is related to the limitations of the mobile website that might display fewer items in comparison to the regular website. Therefore, it is a good idea to give the mobile customers an easy way to access your regular website home page, although the design is not appropriate for the small screen size. The second exception is the iPad. Apple’s new tablet PC has the gesture-recognition user interface and it is much bigger than a smart phone, but it is smaller than a laptop. Also, the 9.7 inch screen of iPad is razor sharp and it is sufficient for browsing eCommerce websites. With so much information, creating a mobile presence might seem a difficult task to you. Here’s what you can do – Grab your preferred smart phone and have a look at some eCommerce websites. This will give you an insight about the state of art of mobile shopping. After this, visit your own website. This comparison will provide you with the perfect insight of the mobile road ahead. 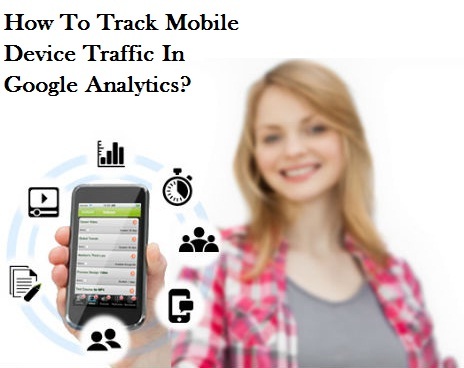 How To Track Mobile Device Traffic In Google Analytics?